Facebook is Now biggest social media site with millions of daily users but the amazing think about Facebook is all Facebook tricks and facts like Facebook chat code tricks but their are many spam which may you attack your account protection but we provide only safest way to enjoy Facebook. If have doubt related to security so lets you to compromise your account must read my opinion about make account secure and increase account protection. Now here new safest tricks to make single Facebook account. 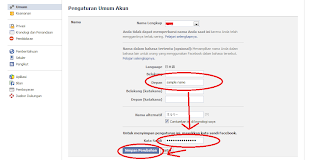 It is not possible to Make account on Facebook without Last name because it is against the policies of Facebook. But if you want to make your Facebook profile with First name without using last name then simply follow my given steps. Note:- After few months of successful working of this trick. now few days back Facebook start blocking this Ip address for many countries and places. So i don't guaranty about it, So please try it i hope its may work for your place. Step 1: Step 1: Open up Mozilla Firefox, go to http://facebook.com and sign in. Step 8: You should now have only one name on Facebook, you can change your language back to English and change your proxy settings back to normal via following Step 3 and choose “Auto-detect proxy settings for this network” and you’re good to go again! If you already cross the limits of changing your account name then this trick is helpful for you. Then i suggest you to create new account. Now this Facebook single name without last name trick is completed here. follow steps very carefully. i hope it will working for you. If you find any of the above proxy is not working then i request you to cooperate us, please you comment which proxy is not working then i will try find some other.